Rather than the usual rabbits or chicks with eggs, how about he original egg bearers? 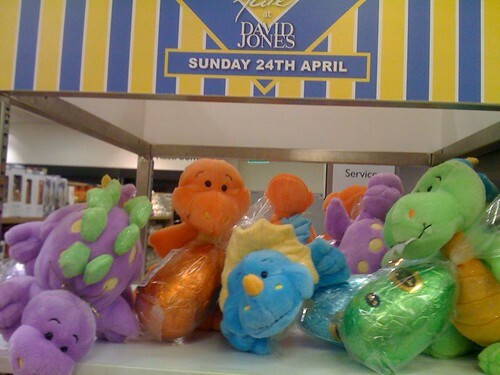 Fluffy dinosaurs chocolate eggs at David Jones for Easter. This entry was posted in Photos, Shopping and tagged David Jones, dinosaur, Easter, egg, Shopping. Bookmark the permalink.